The glass cabin SH7572 makes use of the 2/3 of the total width of the opening, to comfortable enter the shower. It uses two sliding glass-boards, and a fixed one; when the sliding glass-boards are slid away they are overlaid onto one another, finally aligning with the fixed one - ending up in one superposed set of three glass-boards. The peripheral aluminum profile come in natural anodization, stainless steel imitation, or can be electrostatically painted in a variety of colors and textures. The glazing is tempered, 8-10mm thick. Easy, quick installation, even on existing constructions. A smart way to renovate your space. Mainly for smaller openings, in smaller spaces, in bathrooms where making use of the largest possible area of the opening is needed. 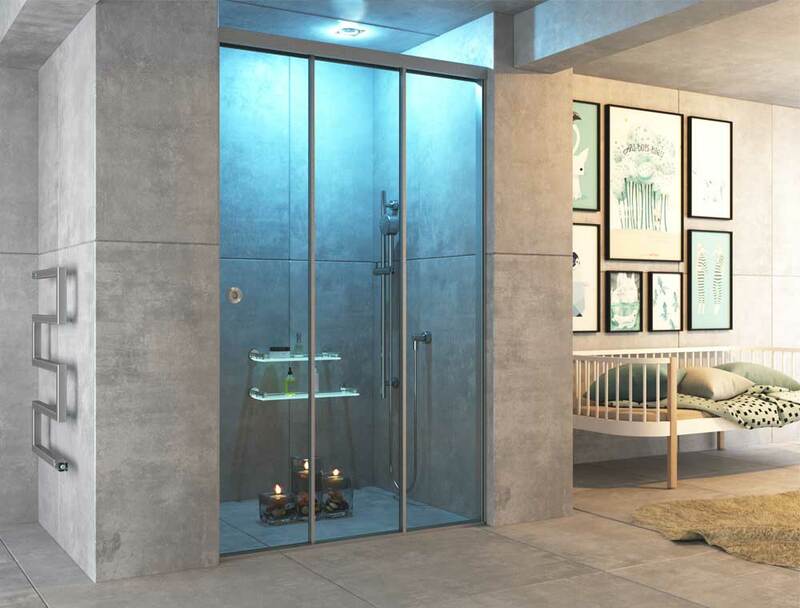 Design flexibility: The glass shower cabin SH7572 is very flexible, as it can help to renovate a certain space, even if there are limitations. Contemporary design: The design of the SH7572 cabin is perfectly suited for the aesthetic standard of contemporary buildings.